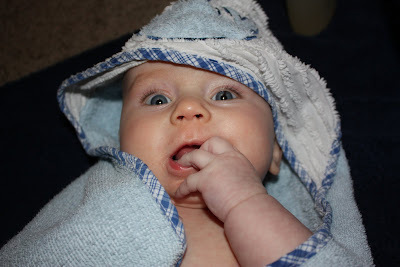 Zack loves having a bath! 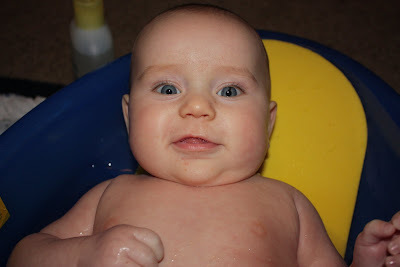 He smiles and talks to me the whole time, I think he just likes being naked! 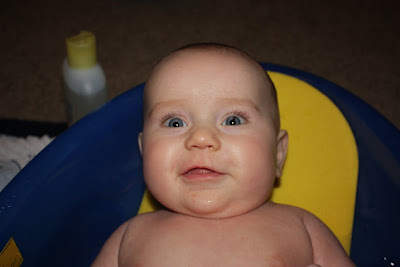 Zack is getting very chubby, I don't think he will fit in the baby tub much longer. All clean and ready to get dressed!